Integrity Laundry Solutions is your one-stop shop for everything laundry, including chemicals. We also provide cleaning and disinfection products for commercial housekeeping, kitchen and hand care markets. Integrity Laundry Solutions works closely with a variety of laundries to program laundry equipment and provide cleaning and stain removal chemicals. At Integrity, we supply a full line of chemicals for stain removal, softeners and neutralizers, bleach, heavy-duty detergent and high efficiency detergent. We provide an array of chemical products for the housekeeping market – from air fresheners and sanitizers to glass cleaners, veggie washes and all-purpose restroom cleaners. 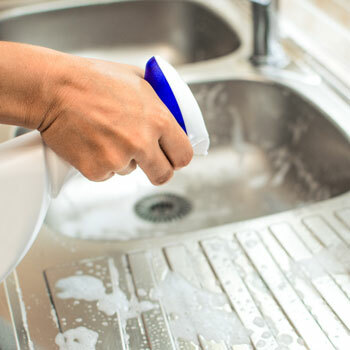 At Integrity, we offer a variety of dispensers and chemicals for kitchen use, including chemicals for triple sinks and dishwashers. Our team provides hand care soaps and dispensers to the hospitality, fire services, health care and education, salon/spa industries, among many others.